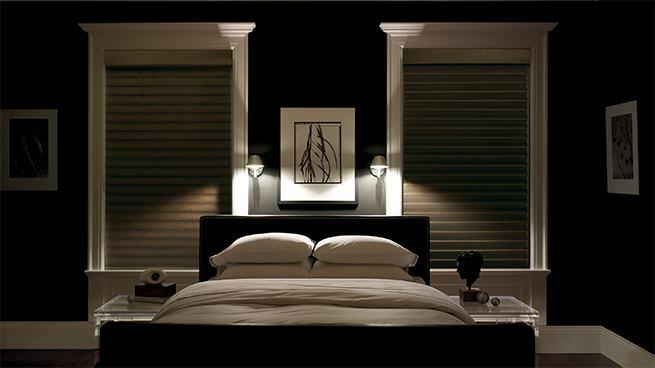 Need to darken your bedroom to help you sleep more soundly? Or reduce glare on your television when watching a movie? 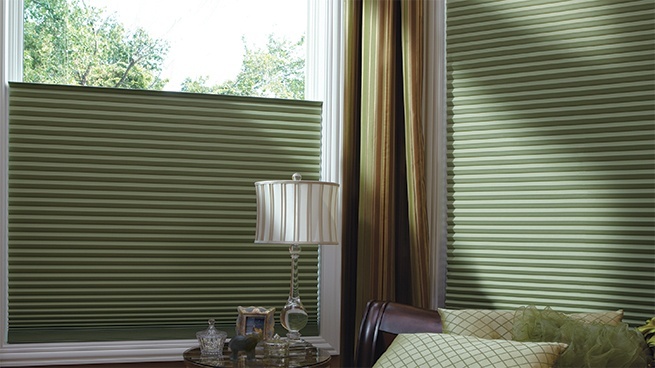 Bright Line Custom Blinds offers a range of Hunter Douglas window treatments to achieve just the right amount of room darkness. 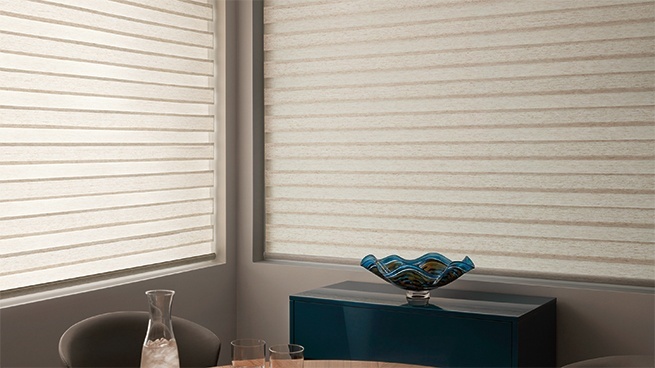 While every Hunter Douglas product allows you some measure of light control, some products offer more room darkening benefits than others. Key considerations are fabric / material type and color: Sheer and light fabrics typically soften and filter sunlight, while darker, semi-opaque and opaque fabrics and materials block sunlight. Fabrics and materials designated as 'semi-opaque' (with Hunter Douglas' Privacy & Light Control rating of '4') will block the view and darken the room when closed. 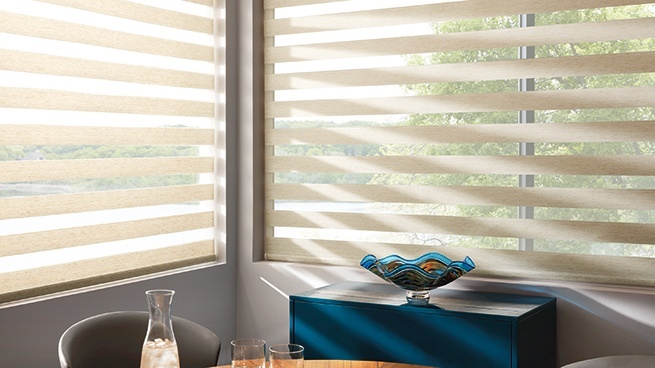 These products not only offer 'opaque' fabrics and materials with maximum light-blocking qualities, they are also uniquely designed to minimize light gaps, seams and rout holes, such as the de-Light™ feature on many horizontal blinds from Hunter Douglas. 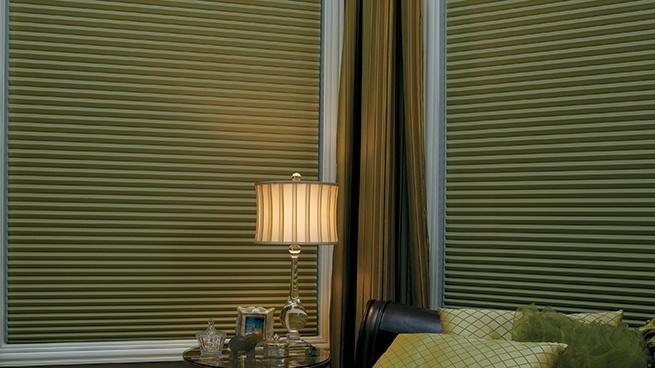 If you are looking for optional room darkening capabilities, consider a room darkening liner available on many of our shades. The liner can be sewn directly to the face fabric, or for ultimate flexibility, it can operate independently. Hunter Douglas Silhouette® A Deux™ window shadings combine a Silhouette shading and a room-darkening roller shade in a single headrail, providing you with three choices of light control: translucent, light dimming and room darkening. 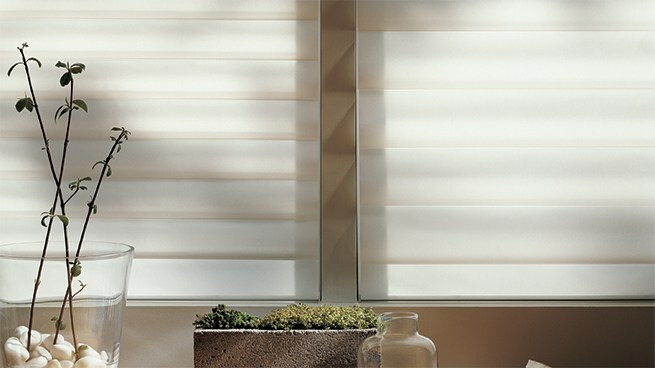 The A Deux™ room-darkening roller shade feature is also available with our Nantucket™ window shadings. 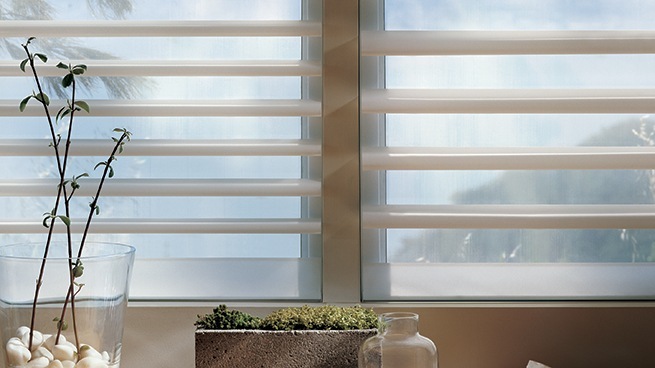 Contact the team at BrightLine Custom Blinds to learn more or get started with your project!